In 1997 a worn-out lawnmower, and an inability to finance the purchase of a new one, brought about a radical rethink on churchyard care. A decision was made to leave selected areas uncut for large portions of the year. In fact, this was only a return to the way the churchyard had been managed for the whole of its history before the 1960s, when it was scythed twice a year to make hay, and was otherwise left as meadow. It was a churchyard just like this where Thomas Gray wrote his famous Elegy and Byron wrote his Lines Written beneath an Elm. Churchyards were places where death was met with vigorous, natural life. The modern concept of the neatly cropped suburban cemetery is quite alien to the setting of a country churchyard, and something which, in this country at least, is really a product of the mechanisation of the process of burial at the time of First World War – not really a sentiment we would choose to perpetuate in Thorpe Market Churchyard. Norfolk Wildlife Trust was invited to carry out a survey and advise on future maintenance regimes. In 1998 the churchyard was described by them as being one of the richest, in terms of diversity, of the 300+ churchyards that they had by then surveyed. 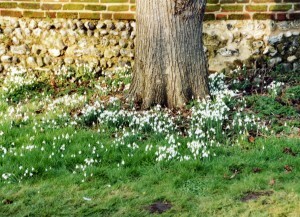 In 1999 we were outright winners of the Barclay/Norfolk Wildlife Churchyard Conservation Award. In 2003 we received the CPRE (Norfolk Society) Conservation award. The biodiversity value of churchyards and long tradition of churchyard management make these ancient grassland sites of unique value and importance. Many churchyards are remnants of ancient meadows that were once used for hay or pasture, long before the church itself was built. So many of the old wildflower meadows have been cultivated, improved or developed since the Second World War that the churchyard is, in some parishes, now the only remaining area of ‘unimproved’, species-rich grassland. 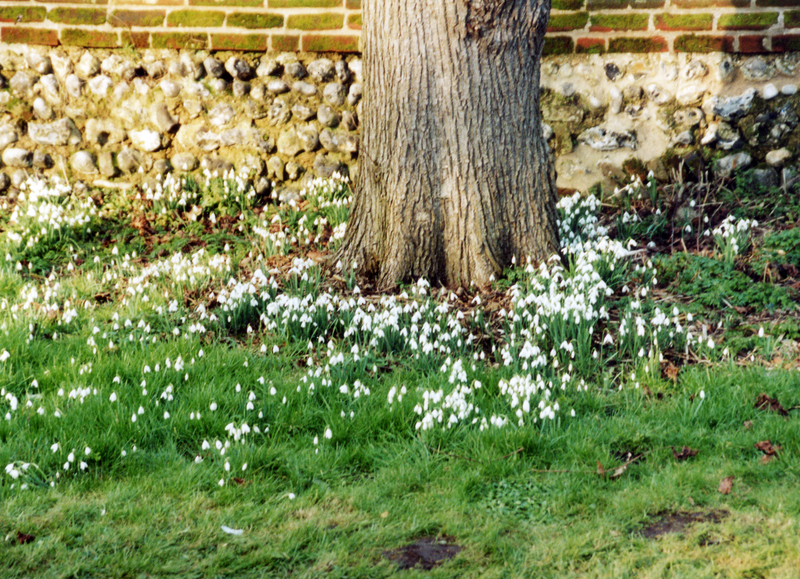 Norfolk has the highest number of churches in the UK, and churchyards in the county play a vital role for a number of species, providing the main refuge for a suite of wildflowers and ferns, and for over 40 lichens. Other species frequently associated with churchyards include invertebrates such as butterflies, moths and bees; amphibians and reptiles including slow-worms, lizards, frogs, toads and snakes; a wide variety of birds; and small mammals such as voles, mice and hedgehogs. Bat roosts are also often found in church buildings, and churchyards can be an important source of insects for bats. 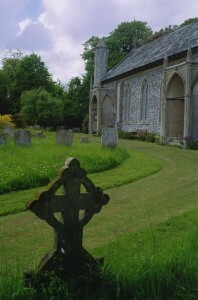 The Norfolk Churchyard Conservation Scheme was established in 1981 and is run by the Norfolk Wildlife Trust in collaboration with the Diocese of Norwich. Nearly half of Norfolk’s parish churches are registered under the scheme, which aims to help churches manage their churchyards to protect the plant species of particular interest while observing the main requirements of the church. Advice and surveys are available on request, and the Scheme also publishes a range of management information sheets and an advice booklet which are free of charge.